Prey is constricted before ingestion while the tail is anchored around a branch.They feed mostly on birds, and their eggs and nestlings, and also eat frogs, lizards and small mammals. 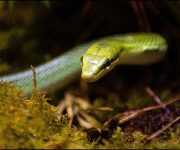 They are non-venomous snakes which kill their prey by constriction, squeezing tightly to suffocate the prey. 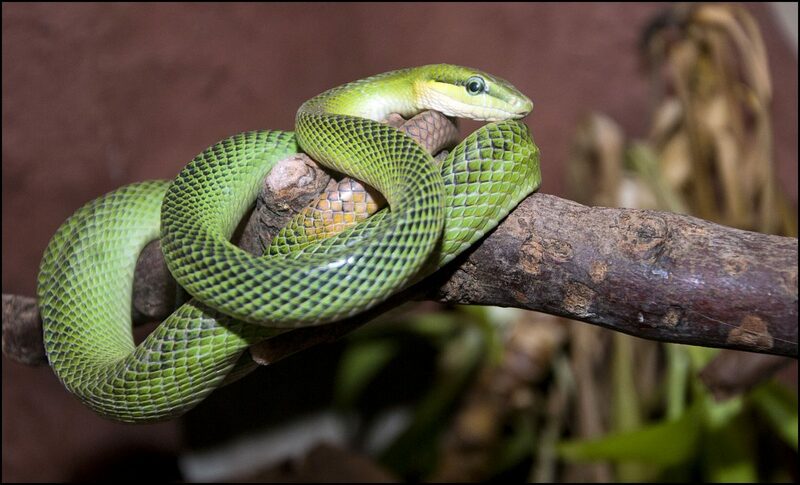 In their tropical environments these snakes breed year-round and females can produce three to four clutches in one year. The clutch size is five to twelve eggs and eggs hatch in 65 to 70 days. Juveniles are about 45cm long when they hatch. 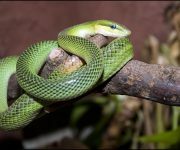 There is also a grey or reddish form of this particular rat snake which is often found in Indonesia. 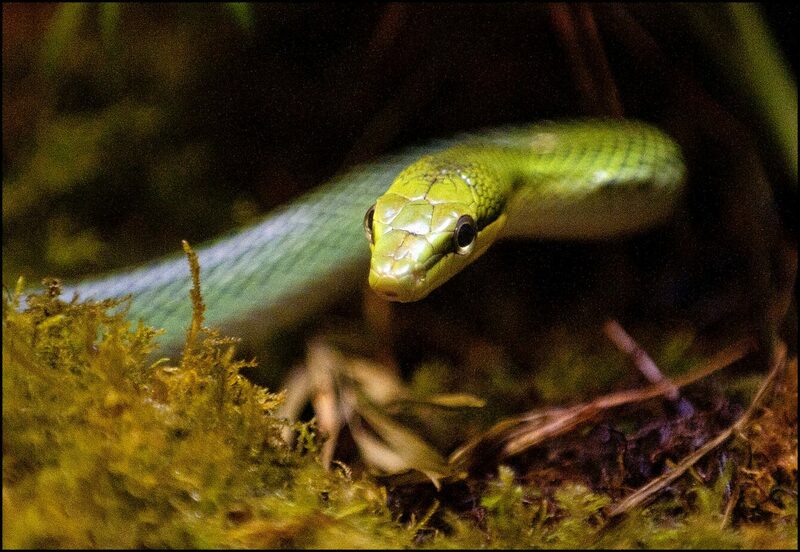 These dark-coloured rat snakes do most of their foraging on the ground, where they are better camouflaged.